Dr. Kimberley Bell, DPT is consulting with patients internationally. Kim Bell, is a physical therapist who has established herself as a senior vestibular therapist in Southern California and is presently consulting with patients internationally. She is building a community of physical therapists nationwide who are pursuing excellence in assessment and treatment of the vestibular system. 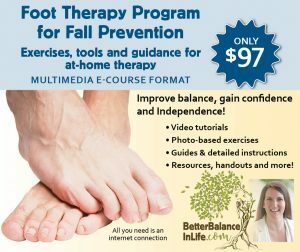 As you know, in my OtoNeurology clinic, I see a large number of gait and balance patients here in Southern California and I require the support of several outpatient and home health physical therapy groups to manage my patients’ complex needs for rehabilitation and fall risk reduction. I would like to emphasize that, if any physical therapist has the opportunity to study with Kim, I believe their patient’s clinical outcomes may significantly improve. Dr. Kimberley Bell is one of the specialized physical therapists that I have been working with. We have been referring patients back and forth for several years now, since 2006. She has developed protocols that are above and beyond what most of us are familiar with in standard physical therapy groups. It’s kind of more of objective therapeutic ideas rather than protocols. I have had a lot of great success referring patients to Kim. Kim has trained physical therapists, whether it is outpatient or home physical therapy groups, home health, and these groups have done very well in regards to PT protocols for these more complex patients. 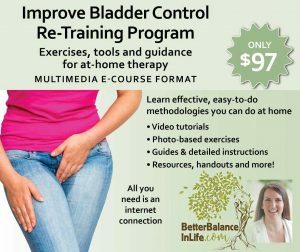 I would definitely recommend for any physical therapist or somebody who is managing a PT group to advocate getting their people to go through her courses for the seminars and further training. The nice thing is that between these continuing education courses and study groups, she also has a mentorship program where she makes herself very accessible for any kinds of questions or knowledge for me when I call her, and also for these people that have taken her course, or not. She is accessible in any form or fashion. She certainly represents somebody who is pushing the boundaries of what most of us feel could be done for a patient from a PT standpoint. If you take a look at a physician like myself or any other neurologist or other ENT physicians, what do we do with our patients after we work them up and it is something that we can’t fix in the clinic? Ultimately these people need aggressive physical therapy and somebody who really pays attention to these patients that need aggressive management. I definitely, as I said before, am a big advocate for people like Kim that are trying to pull all of the PT groups – whether it is outpatient PT or home health – to get everybody together and discuss the protocols for the future and not the past. If you get a chance, try and make it over to the seminars that she is offering, and I definitely think it would be a good thing for the entire community. I thought you would like to know about this opportunity.